Google+ local is a free platform provided by Google, whose resources are yet to be fully utilised by businesses. It can be described as an interactive directory since it works as both an online directory for businesses and allows social interactions between a business and viewers. When I type in a search that includes the location of a certain area, a business with a Google+ local profile will appear on the displayed page. For example, if my search was gym California’ the gym(s) in California with a Google+ local profile is more likely to top the rankings. Businesses should know the invaluable benefits of this platform to their website and eventually their business. For a local search, a business with a Google+ local page will appear at the top, before other search results. As such, users are able to view the business’ website first before proceeding to any other. This top ranking increases the visibility of the business and in turn increases traffic on the website. Google+ local works like any other social media tool. 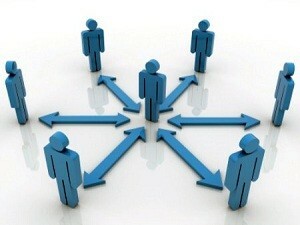 A business gains more people in its circles on Google+ by posting relevant and interesting information on its page. This will garner more people and the posts will market the page through the +1 they get. Regular posting of information is a powerful SEO tool that improves the ranking of the business on Google pages. High rankings equal more traffic. On the search results of businesses with Google+, the results give essential information about the business such as contacts, location, photos, hours of operation, services /products and a meta description of the company. The photos provide a marketing opportunity that allows companies to market their current products, new products and rebranded products. Users tend to trust reviews from fellow customers rather than business marketing information. Reviews from customers are posted on the search results of a business on Google+. The best way to gain reviews is through constant posting of information on the Google+ page. These reviews will develop trust in the company by potential customers. Online users have the tendency to follow the crowd. The more followers a page has, the more followers it gains. The good thing with Google is that the search results of each business show the number of followers the business has on Google+. This will increase traffic on the website since people will eventually satisfy their curiosity by viewing the website. Also, these potential customers will more likely than not, turn into followers on the Google+ page of the business. It is a win-win situation in the social media aspect and the traffic aspect. Google+ eliminates the need for businesses to directly submit their URLs for indexing. Now, the content shared on Google+ local allows easier and faster indexing of the content on Google. Owing to the fact that photos and videos of a business with Google+ local are always displayed on search results, businesses should capitalise on this as a branding tool. Users gain trust in a business that shows everything about their products and services. Constant update of these tools strengthens the brand of a business. Google+ hangouts add to the fun of business operations and also provide businesses with the chance to generate several videos to several viewers. This platform allows video streaming to 10 participants at once. That might seem as a small number but the video can eventually be uploaded to Youtube. Hangouts can be used for conducting interviews with users, meetings, panel discussions and every other decent thing that can be done using videos. The videos posted to Youtube increase video content on the business’ channel hence increasing viewership. Clearly, Google+ local is a powerful marketing and SEO tool. 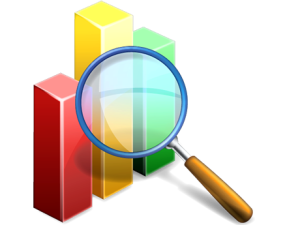 It works best by improving a business’ ranking on Google and making it more visible to viewers. This platform proves that there is no limitation to the number of social media platforms a business can use. The main aim is using the most relevant platforms and Google+ is definitely among the best. The connection with customers on a personal level and the simultaneous connection with Google local pages makes this tool a power engine. Have any feedback? Feel free to leave a comment below and I’ll get back to you. Daniel Law is the Manager Director at Big Vision Marketing, an SEO agency based in Sydney. With over 10 years experience in digital marketing, Daniel has grown a burning passion to helping his clients achieve their business goals via leveraging innovative digital strategies. Follow Daniel on social media at @daniellawsydney, +DanielLaw and Facebook. We believe that search engine optimisation (SEO) is one of the most powerful online marketing strategies available to your business. Let us help you grow your business online by using innovative SEO strategies proven to generate your business results. Find out more about our SEO services. We'd love to talk to you about your website's SEO marketing! Don’t wait around while your competitors are doing everything they can to dominate YOUR industry. Contact us today and receive a FREE competitor and website SEO audit. Take the first step in the right direction and start your SEO journey with us today! *Your privacy is important to us. Your details will remain confidential at all times. No content on this site may be republished or reprinted in any fashion without written permission from Big Vision Marketing. Search Engine Optimisation (SEO) & Content Marketing Services in Sydney & Australia. Copyright © 2018 Big Vision Marketing, All rights reserved.